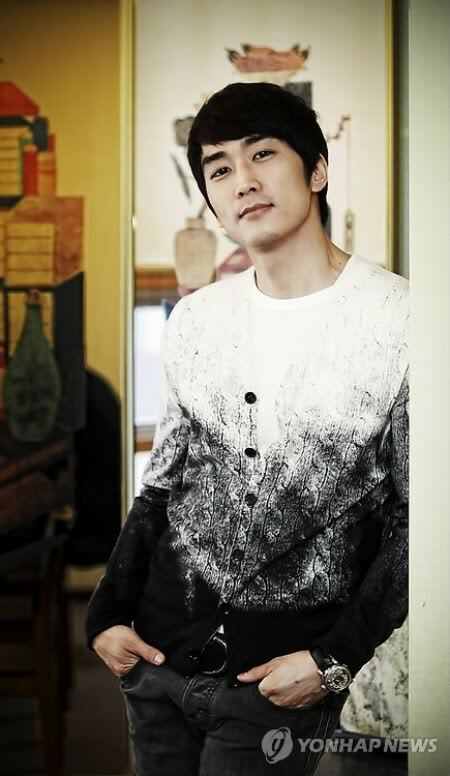 Song Seung Hun created his own management company under the name Storm S Company in 2009. 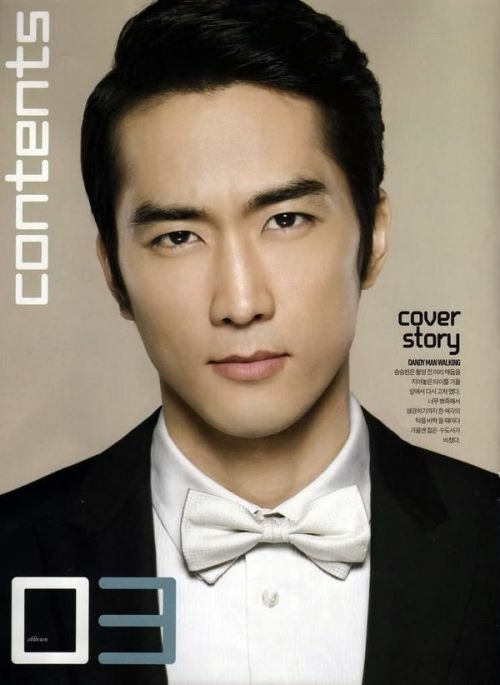 Actor Song Seung Hun has fallen in love! But don’t cry just yet! stem” pose as she did. How cute! 2PM's Nichkhun also seems to adore Jun Min Suh. What a lucky little girl! e3akolou8a na ta 8eoro epikindina ta mikra! film starring Patrick Swayze and Demi Moore from ye olden ’90s. sure you’ve all seen the original? It also stars Japanese actress Matsushima Nanako, who’s from the Ringu movies, although I know her better as the older sis from the Hana Yori Dango (Boys Over Flowers) franchise. 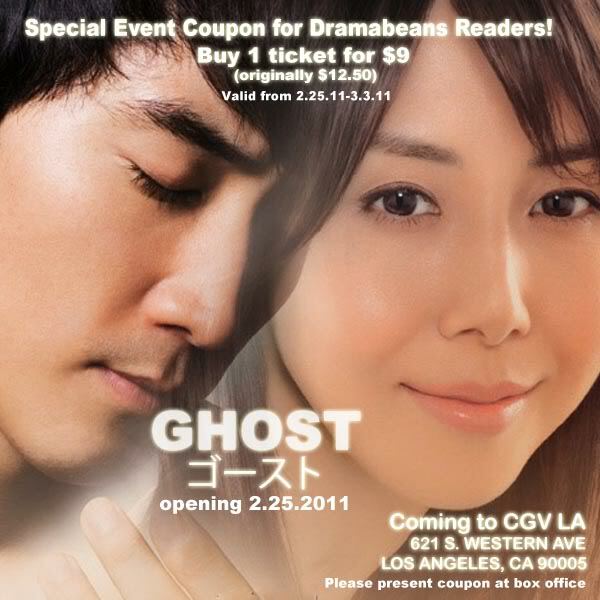 Courtesy of CJ Entertainment, Dramabeans readers get a discount to watch the film at Koreatown’s CGV Cinemas (the same theater that gave us giveaway tickets for Hello Ghost). Just print out the above coupon and take it with you to the theater to redeem. Easy as that! and the Japanese-Korean co-production was released at home last fall. thing given Song’s rather limited (1) Japanese, and (2) melo skills. einai to gnosto to ghost? 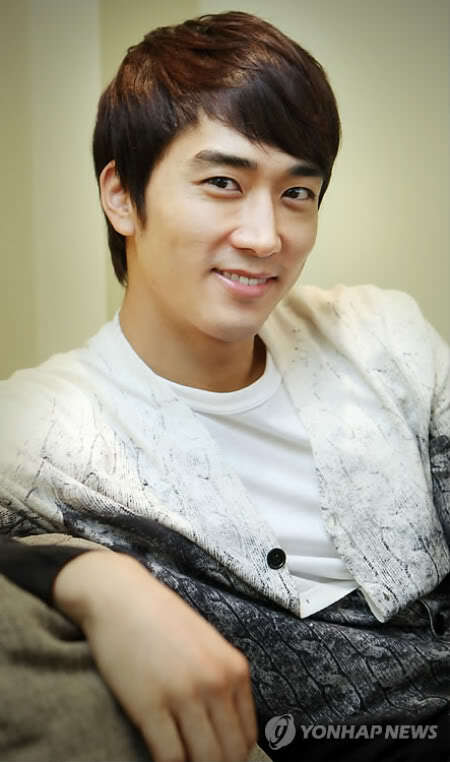 Actor Song Seung-heon (35) clarified the scandal between him and Kim Tae-hee among entertainment people. 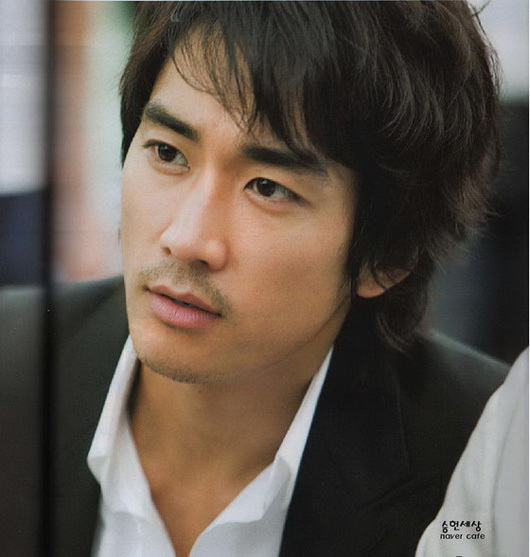 At an interview on the 2nd somewhere in Seoul, he said no when he was asked if he was seeing Kim Tae-hee. However he said, "I have been with her on stage for the Andre Kim Fashion show as models and we go to the same salon so I know her. She is an Attractive person". In the recently ended MBC drama "My Princess"
that'll work? ", but it wasn't easy". 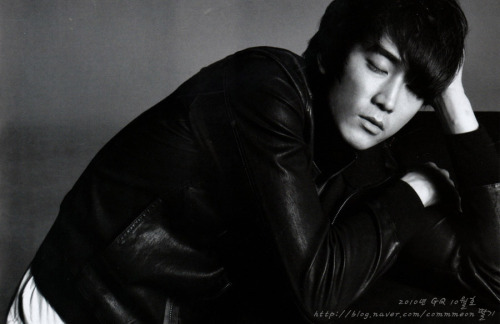 Song Seung-heon's ideal type is widely known as Han Ga-in. 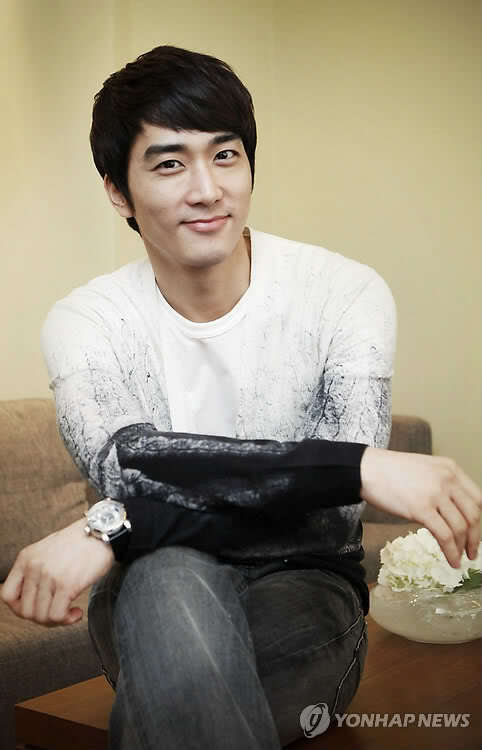 In an interview during the drama "East of Eden"
Night" he picked Han Ga-in as his type in the "Ideal Type World Cup". his career just trying to look cool. HA. roles). Thankfully he’s come back around to comedy with My Princess, which has garnered him praise as an actor…maybe for the first time ever. Here’s a translation of the interview he did with Yonhap News, the day after My Princess wrapped. Have you slept? They say My Princess‘s schedule was murder. so I woke up and watched it. How do you feel about it now that it’s over? Any regrets? think any experience in the end makes me who I am. Why did you choose a romantic comedy now, and why did you wait till now to do one? coming in late. (Laughs) Why didn’t I do a romantic comedy earlier? ending, I wanted to do projects that had a resonance. romantic comedy movie as well. You’ve never had so many cutesy love scenes as you did here. Could it be that you really fell in love with Kim Tae-hee? your mid-thirties. Do you feel older? Even if you don’t feel your age, you must feel some change. What’s changed? there, and I have room to look past myself. cool, now I think about what I can do for fans through this project. acting is fun and I’m learning to enjoy it. Why weren’t you ambitious about your acting before? Sung-jae died suddenly, somehow So Ji-sub and I became the main models. And then after that, I came to do Three Men, Three Women. the fans and the public before myself. Do you have any fears? Do you ever worry about losing popularity? popular than not, but it’s not like I could be a youth star forever. young. So now I’m full of regret that I didn’t do the same. suddenly appear, and I might be talking about marriage. fans, “Be careful not to catch a cold during the last chill before spring arrives. I’ll see you all soon!”. 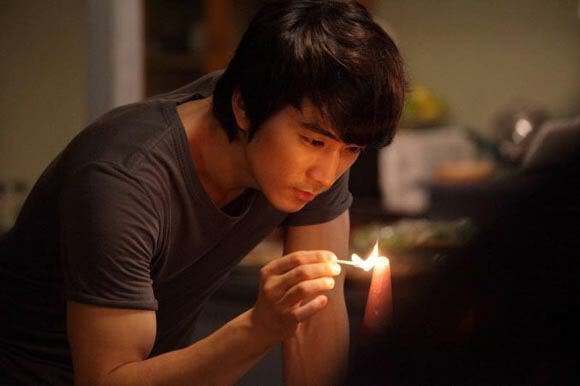 Song Seung-heon, Nam Sang-mi up for SBS drama? fit that designation, though perhaps Song more than Nam. and (2) the drama is by Kim Soo-hyun — the respected writer, not the Dream High/Giant budding star, and (3) the two abovementioned things seem at odds with each other. the role, but said that things had not gone beyond that point. Kim has done a lot of longer weekend dramas, but at 24 episodes Forget Me Not will be her first miniseries in four years, since 2007′s My Man’s Woman. together they’ll be able to score another 40% hit. energy. Plus, together they are just gorgeous. Forget Me Not is being planned for Mondays and Tuesdays on SBS, following Warrior Baek Dong-soo, which puts its premiere in September.